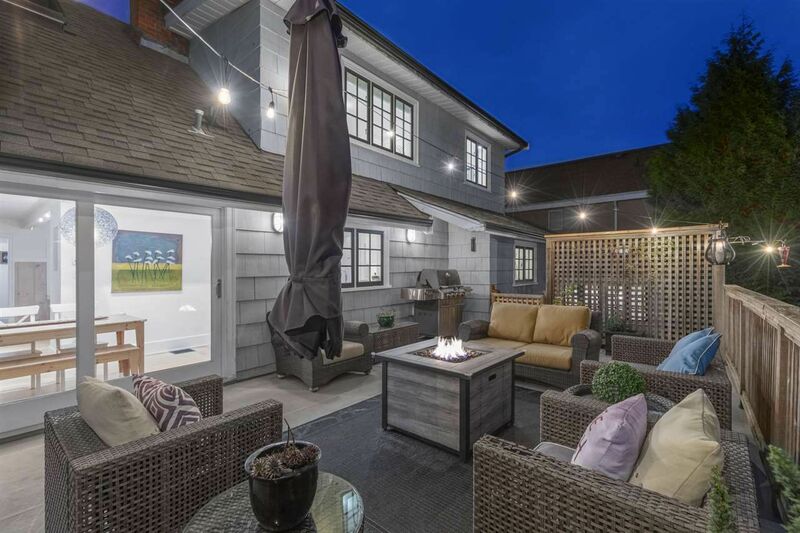 This stunning remodeled character home in Dundarave checks all the boxes for a growing family. Designed by Western Living's Designer of the Year, this house offers 3 levels of living space that opens to a large south facing patio and a fully fenced back yard; The main floor is perfect for entertaining with an open concept floorplan including a kitchen that features a huge marble island; living room and separate family room and bedroom. 3 beds up including a stunning master + ensuite with ocean views. Downstairs boasts a large custom laundry room, rec room and 5th bedroom. A brand new renovated legal suite is perfect for nanny/mortgage helper. Steps to schools, rec centre, Dundarave Village and Seawall. Open House Nov 25th 2-4pm.